I take very seriously my ethical obligations as an attorney and know that you do too. The items below provide general information concerning the ethics of outsourcing. 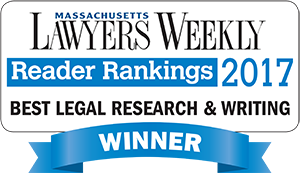 Lawyers’ Legal Research and Writing checks every incoming research and writing project for conflicts, applying the standards of the Massachusetts Rules of Professional Conduct and applicable ethical opinions. Lawyers’ Legal Research and Writing treats all information you provide, including your identy and the identity of your client, all information/documentation that Lawyers’ Legal Research and Writing gathers in the course of its work for you, and all communications between Lawyers’ Legal Research and Writing and your office, as confidential and subject to the attorney client privilege and/or the work product privilege. Lawyers’ Legal Research and Writing will not disclose such information, documentation or communications to anyone without your consent, unless such disclosure is required by a court order. ABA Formal Opinion 08-451 and comments to the Massachusetts Rules of Professional Conduct discuss the ethical considerations raised by outsourcing legal research and writing. Opinion 08-451 states, in part: “There is nothing unethical about a lawyer outsourcing legal and nonlegal services, provided the outsourcing lawyer renders legal services to the client with the legal knowledge, skill, thoroughness and preparation reasonably necessary for the representation.” According to the ABA, “[t]he challenge for an outsourcing lawyer is … to ensure that tasks are delegated to individuals who are competent to perform them, and then to oversee the execution of the project adequately and appropriately.” The comments to Rule 1.1 list factors relevant to the reasonableness of the decision to outsource to a particular provider. You should consult your state’s ethical rules and applicable ethical opinions concerning outsourcing. Informing your client of the outsourcing. ABA Formal Opinion 08-451 provides that unless the outsourcing lawyer exercises a “high degree of supervision and control” over the contract attorney, the client’s consent must be obtained before any confidential client information is revealed to the contract attorney. Comment  to Rule 1.1 goes somewhat further, stating that the outsourcing attorney should “ordinarily obtain informed consent from the client.” You should consult your state’s ethical rules and applicable ethical opinions on this issue. Charging your client for outsourced work. 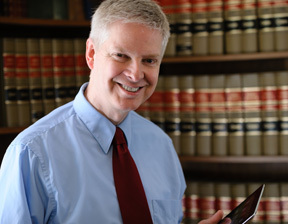 The American Bar Association has opined that, “a law firm that engaged a contract lawyer could add a surcharge to the cost paid by the billing lawyer provided that the total charge represented a reasonable fee for the services provided to the client.” ABA Formal Opinion 08-451, quoting ABA Formal Opinion 00-420. You should consult your state’s ethical rules and applicable ethical opinions. Licensing of the contract attorney. ABA Formal Opinion 08-451 states: “Ordinarily, an individual who is not admitted to practice law in a particular jurisdiction may work for a lawyer who is so admitted, provided that the lawyer remains responsible for the work being performed and that the individual is not held out as being a duly admitted lawyer.” You should consult your state’s ethical rules and applicable ethical opinions. I am admitted to practice in Massachusetts. Outsourcing to a foreign country. The ABA notes that particular care and extra diligence may be required when outsourcing to lawyers in foreign countries. When engaging lawyers trained in a foreign country, the outsourcing lawyer first should assess whether the system of legal education under which the lawyers were trained is comparable to that in the United States. In some nations, people can call themselves ‘lawyers’ with only a minimal level of training. Also, the professional regulatory system should be evaluated to determine whether members of the nation’s legal profession have been inculcated with core ethical principles similar to those in the United States, and whether the nation’s disciplinary enforcement system is effective in policing its lawyers. ABA Formal Opinion 08-451. Where there is a lack of rigorous training or effective discipline, “it will be more important than ever for the outsourcing lawyer to scrutinize the work done by the foreign lawyers – perhaps viewing them as nonlawyers – before relying upon their work in rendering services to the client.” Id. [t]he legal landscape of the nation to which the services are being outsourced, particularly the extent that personal property, including documents, may be susceptible to seizure in judicial or administrative proceedings notwithstanding claims of client confidentiality. Id. The ABA also suggests that an attorney outsourcing to a foreign country consider what might happen in the event of a dispute between the attorney and the service provider. 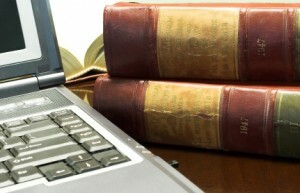 Similarly, the judicial system of the country in question should be evaluated to assess the risk of loss of client information or disruption of the project in the event that a dispute arises between the service provider and the lawyer and the courts do not provide prompt and effective remedies to avert prejudice to the client. Please contact me to discuss your project. The initial consultation is always free.